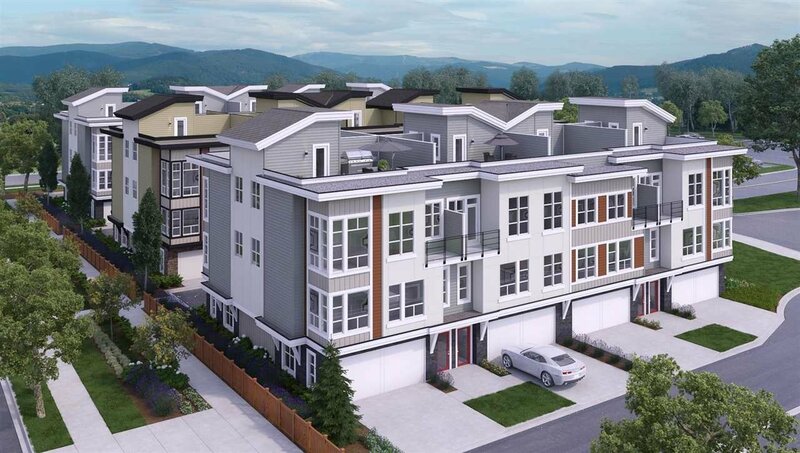 Midtown 2 includes 28 three-level townhomes with double garages and rooftop patios. There are two, three bedroom plans to choose from, both of them over 1,400 sq. ft. The main floor offers a large open concept living, kitchen, and dining room with lots of cabinetry and spacious quartz counter tops. Each unit comes standard with natural gas forced air heat, natural gas tankless hot water on demand and appliance packages. The Master suite includes 10' ceilings, dual sink vanity and good size walk in closet. Nestled amongst the tree lined streets with walking trails throughout the development, Midtown is the perfect place to call home!